GALION — Tax season is here and City Auditor Brian Treisch reminds Galion citizens to file their city income taxes. Galion is a member of the Regional Income Tax Agency (RITA), which handles tax collection and enforcement. Resident individuals, 18 years of age and older, who have earned income, even if no tax is due. Non-resident individuals who have earned income in a RITA municipality that is not subject to employer withholding. Non-resident individuals who conduct business in a RITA municipality, even if no tax is due. Retired individuals with no reportable income are required to file an Exemption Form and attach a copy of page 1 of your Federal 1040 return. An Exemption form is only required for the first year that this applies. Hard copies of the RITA forms are available at the Galion City Building, 301 Harding Way East. If you are filing a paper return, you will be required to submit the following forms, if applicable to your reported income: W-2s, 1099s, Federal Schedule C, Federal Schedule E, Federal Schedule F, K-1, Federal Form 2106, Federal Form 3903, front page of Federal Form 1040. If you file electronically no documentation is required at the time of filing. Documentation may be requested by RITA upon review of your filing. 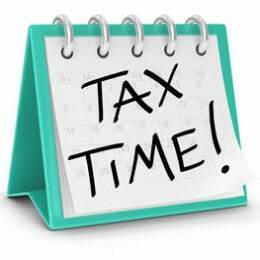 For more information or to file income taxes online, visit RITA’s website. RITA offers free assistance to all taxpayers required to file a municipal income tax return. Call the agency toll-free at 1-800-860-7482. Free walk-in assistance is also available. Agents will be on-site to answer questions and assist with income tax return preparation. To receive assistance bring with you all necessary tax documentation. No appointment is necessary; however, assistance is on a first come, first served basis and wait times may vary. Click https://www.ritaohio.com/Individuals/Home/TaxPayerAssistance to view locations for walk-in taxpayer assistance locations.